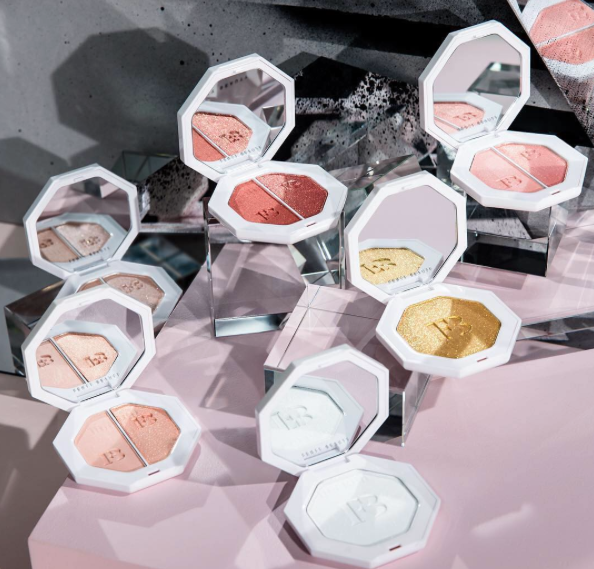 Rihanna just dropped her debut make-up collection Fenty Beauty in store at Sephora Champs-Élysées and celebrated the new launch in the iconic Jardin des Tuileries, Paris. Especially created for diverse skin tones, Fenty Beauty offers 40 foundation shades, 30 Match Stix skinsticks to contour, correct, conceal or create a shimmer, a blotting powder, plus a range of beauty accessories all lined up to impress celebrity MUA’s, beauty influencers and make-up addicts who desire to create Rihanna’s Fenty Face. Fenty Beauty by Rhianna was created for women of all skin tones.